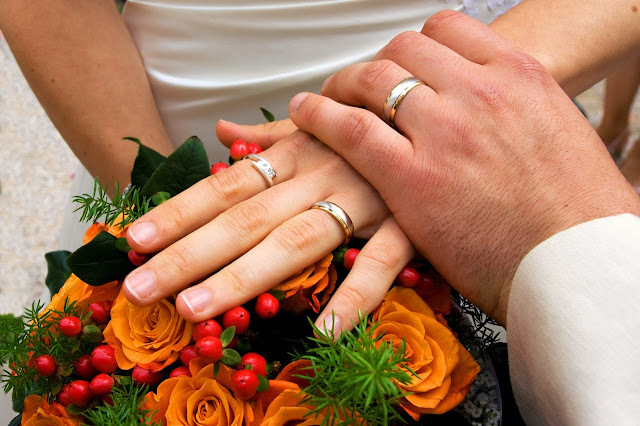 How to get married in Germany? My name is Emma, a US citizen from Kansas City, MO. I came here in Berlin in Winter 2010/11 and got engaged to Gianni the following Winter. We started the necessary bureaucratic processes in February 2012, and the first step was taken by having a look at the US Embassy website. This, in fact, already lists the documents to be presented to the German authorities, even though the list may change for different cases and for each of the 16 different German states. First of all, one needs to go to the local Standesamt (registrar’s office) to see what documents they require you to submit. In Berlin, we were told that all non-German couples need to go to the Standesamt Mitte (Klosterstrasse U2). There, among hundreds of cheesy wedding magazines (showing jewels, dresses, new homes, etc. ), each couple is called one by one. In our experience, we always waited for quite some time. German visa: the one valid at that time (even though I always had it with me, my visa is not stamped on my passport but is a separate document). Registration certificate from our Local Registration Office (Bürgeramt) issued no more than 14 days before our second visit to the Standesamt. In German, it is called "Bescheinigung aus dem Melderegister". Be careful, this document is NOT the Anmeldebestätigung issued by the Bürgeramt when doing your Anmeldung! Affidavit: a sworn declaration that I have been never married, which I received and had notarized at the US embassy. If you have been married previously, official proof of divorce is needed. To get either document, you need to make an appointment at the US embassy's website. Proof of income: that was a bit tricky and pricey for me, because I am self-employed (a freelancer). So I needed to have my tax declaration, invoices, and receipts of the previous year certified by an accountant. Birth certificate: Certified copy issued within the last six months. On the Embassy website, there is much information on how to obtain a document from the US Authorities (for example, a birth certificate). If you don´t speak fluent German, it is recommended to be accompanied by someone who is fluent, as none of the employees we encountered could speak English. Registration certificate from our Local Registration Office (Bürgeramt) issued no more than 14 days before our second visit to the Standesamt (this is not the Anmeldebestätigung from the Bürgeramt!). Freedom of Movement Certificate (automatic for an EU citizen, Freizügigkeitsbescheinigung in German), showing his right to reside in Germany. An international Certificate of No Impediment to Marriage issued by Italy or the Italian embassy in Berlin within the last six months (to obtain this, both of us needed to be present at the Italian embassy). Also, I had to bring the German translation of my birth certificate, my passport, visa, and registration certificate. He had to show his passport and birth certificate (previously obtained). This certificate shows that neither of us had been married before. In the case of a previous marriage, this document confirms that either a divorce has been finalized or that the previous spouse has passed away. All documents not in German needed to be translated in German by a sworn translator. An important advice to all: pay attention to the copies a sworn translator provides you! The translator I used messed up on my birth certificate, and when I went back to the translator, she was irritated by my complaints and my request to have a proper translation of the document... Well, apart from that it went smoothly. Once you have gathered all necessary documents, you should return to the office and set the date. You can book any date (and a room) 6 months in advance at the most. This means that if you have all documents in mid-April, you can book a date no later than mid-October. Also, you will be asked if you would like the Standesamt to provide an interpreter for the ceremony, or if you know someone who will translate for you. If you choose the former, then you should pay an extra fee. So after confirming that, as well as a date and room, they will send you around in the Standesamt to pay some fees or get a stamp from another colleague, and finally return to the person in charge to have everything confirmed. Then you only need to prepare and wait for the day! 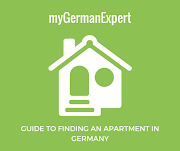 Many thanks to our friends Emma and Gianni for sharing their experience with myGermanExpert. Here is also a nice video found on the internet on how to get married in Germany. Enjoy it!